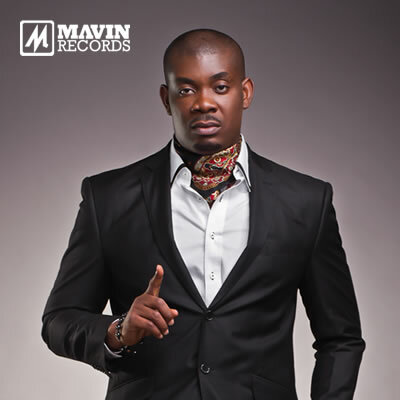 Yimiton's Blog: Don Jazzy is Sharing money on Twitter oh!!! Go and collect yours. Don Jazzy is Sharing money on Twitter oh!!! Go and collect yours. I was on twitter on Tuesday when my friend called my attention to the way people were jubilating over the fact that Don Jazzy gave them money. It didn't make any sense to me until one guy said he collected N100,00 after my friend and I made fun of him that people just like free things no matter how useless it is. I hear the lucky dudes just said they were broke and Don Jazzy asked for their account details and started dishing out money. See what Punch said: One of the beneficiaries, identified as Mr. Adeyemi, claimed that the star producer sent N100, 000 to him. Another fan, @tweetlawunmi, expressed her gratitude in a tweet saying, “Thank You. Thank you! Thank You! God bless you abundantly. The gesture has spurred frenzy on Twitter, as numerous persons have been asking Jazzy for money, giving various reasons. Although some may see this as a publicity drama, Jazzy says he is only trying to put smiles on the faces of his fans. In the last few years, Don Jazzy has wormed his way into the hearts of many fans, giving out recharge cards and shopping vouchers. Such gestures may be responsible for his having almost 300,000 followers. This makes him the Nigerian celebrity with the highest number of Twitter fans, more than Asa, Genevieve, Dbanj and Wizkid. But he hints that he is not stopping yet as he already has a few account details in his Twitter message box. Dear readers, do you think this is a publicity stunt or does he just have a free giving heart. Please leave comments on your thoughts! let me start by acknowledging your good works. Your blog is really amazing i must say. Wonder how you combine work and other things with blogging. Well you are an expert no doubt. You doing an excellent Job. Keep it up. I try as much as possible to visit your blog like 10 times a day. I just started blogging last month and i try to follow blogs that could inspire me towards making mine better. Your blog is one of them. i know you are quite a busy person but i would really appreciate it if you can stop by blog: huntlya.blogspot.com. let me know what you think about it. The write ups, concept and every every. Well what if i say you are my blog mentor. lol. Well yes! you are.